Autocar magazine is the car nut's weekly fix, delivering a unique mix of the latest news, opinion, features, first drives of new cars and in-depth road tests. 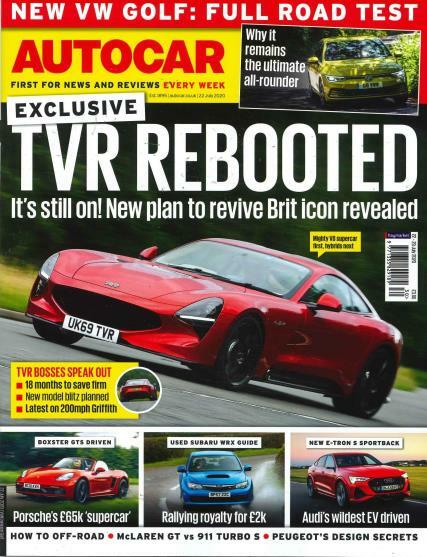 Buy a single copy or subscription to Autocar magazine. From Ferraris and Lamborghinis through to the latest electric and hydrogen-powered superminis, Autocar magazine is obsessed with cars and the industry that makes them. No other publication covers the subject with such enthusiasm, insight and quality every week of the year.